Does your house feel like it’s missing something? It’s a beautiful house in a great neighborhood, but it needs a finishing touch to make it into a home-your home. Well, that’s where some shutters might be able to help out. Adding shutters to your home in an accent color can set your home apart from the rest and give it that added flair that speaks to your personality. Already have shutters? Installing new shutters and replacing old, outdated, or broken ones will add enormous curb appeal to your property, increasing you property’s total value overall. The variety of exterior home shutters on the market today makes it easy for you to find a style that you’ll love and order it to your home with ease. Batten board shutters have a more rustic and country feel, while raised panel shutters are more elegant and traditional. Shutters can be made for large windows that are the centerpiece of your living room and also for your smaller bedroom and bathroom windows-for any size or any style, there is a shutter for you. 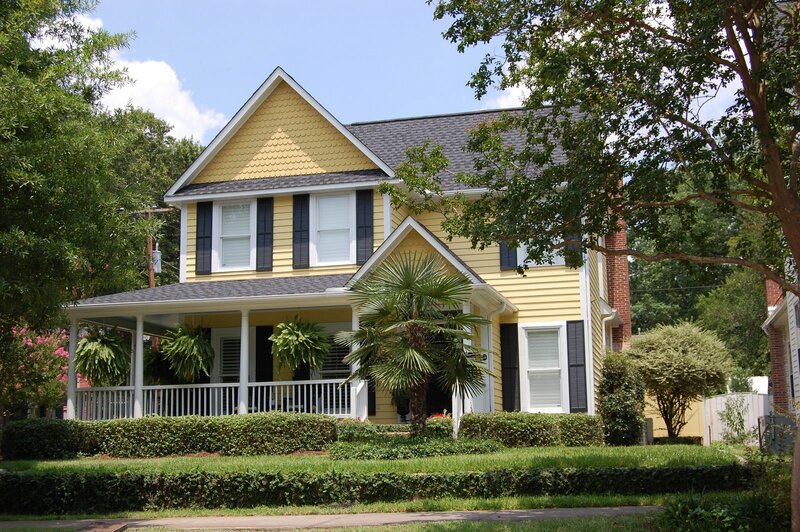 Shutters also can come pre-painted in a variety of colors. If your house is a more demure beige or white, shutters can offer that splash of color that ties the design of your home together and adds personality. If your home is a bright red or other vibrant color, shutters can make your home toned down to fit in with the rest of your neighborhood. Although many of the shutters you can put on your home are purely aesthetic, there are also many shutters that are equally functional and beautiful. If you live in windy areas that are prone to hurricanes or tornadoes, like Florida or Kansas, or in sunny areas of the country like Hawaii, shutters can be a godsend. In inclement weather, shutters can prevent your glass from getting cracked and shattered from kicked up rocks, stones, or other flying debris. In the sun, shutters can keep the climate inside your house more controlled. Nothing wastes money more than air conditioning struggling against the blazing sun pouring through the windows, and shutters can keep all that extra heat outside, where it belongs. At Mobile Home Parts Store, all of your shutter needs will be met easily and efficiently. The variety of exterior shutters available on the website will be sure to fit whatever need you might have. Whether traditional or eccentric, large or small, the shutters available here are customizable to fit exactly the look and feel you want for your home. Hardware is also available for mounting functional shutters, for those who want more than just looks. Think of all that shutters could do for your house, and consider transforming it into a home with some of the exterior shutters offered online. In the end, your home will look polished and swanky, and with the quality shutters offered by Mobile Home Parts Store, your new shutters will last a lifetime. Which Outdoor Window Shutters are for you? Top 3 Reasons to Invest in Vinyl Shutters Today! Outdoor Window Shutters Will Make Your Home Pop! If you’re looking to beautify your home with nuanced, understated accents, a new suite of vinyl custom exterior shutters is the answer. Vinyl shutters come in a wide range of styles and colors. If you need a specific color that isn’t available, many industry styles come in a paintable version. Here at Custom Exterior Shutters, we’ve gathered a wealth of resources to help you make this important decision for your home. Wherever you are in your custom exterior shutters journey, you’ll find the information you need here at CustomExteriorShutters.com.